Above: Students work together on a project for their math class where they are making a plan to introduce a garden expansion project to be implemented in our efforts in Latin America. Below: Our Luganda Class works together to master vocabulary through modeling every day scenarios. That daunting time of year when you actually have to prove that you learned something throughout the semester. But exactly how to prove it is what we like to get creative with here at the Institute for G.O.D. 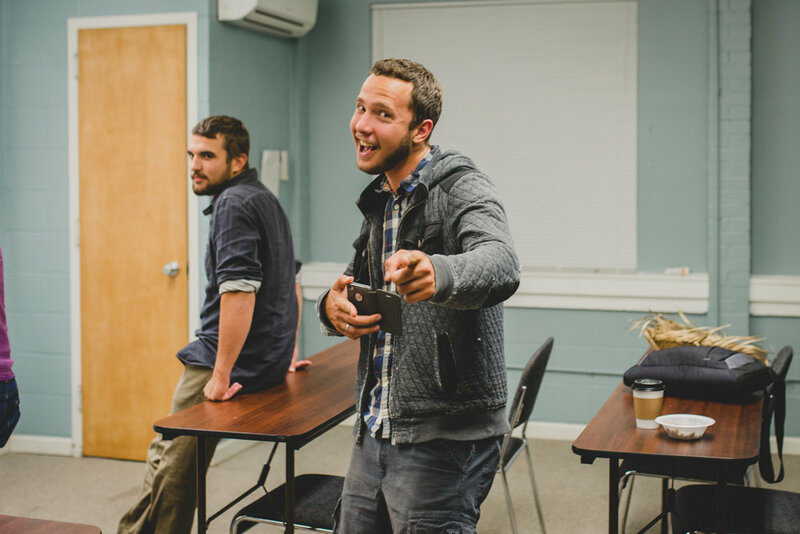 Because students, and not a rigid curriculum, are the focus at the Institute, the group projects and creative presentations that come together during finals week always put a sense of focus and anticipation in the air of classrooms and hallways and social gatherings around here. Even more, our education is training students in our greater mission. So a test is not just a test! It's a sign that you're growing in knowledge of the Lord and a very necessary understanding of the mission of G.O.D. International! You might find a group meeting late into the evening to discuss their proposed plans for their 5-week trip to Africa this summer. Another group is conversing back and forth, albeit a little slowly, in Tagalog, as they prepare for their final exam in the class focused on the language of the people in the Philippines. The night before finals began this last week, a handful of instructors from the Institute made themselves available at the ‘Genius Bar’ to assist students studying for finals, working on papers and preparing presentations for the week ahead. During finals week, you can walk into a class on the Old Testament prophets and find presentation boards that students have created to visually display the impact of these individuals in their historical moment and how their message can be applied to our world today. Students from Prophets class observe one another's visual displays during the final day of class. In another class, you would find students dialoguing with a panel of leaders that work in our various regional hubs around the world to give the students feedback regarding the feasibility of a project they are hoping to implement in that region this summer. Intro to Public Health students had to hypothetically transport themselves to another country where they were giving a healthcare seminar to primary-aged students. Students in a Math class had to create a project proposal for implementing a garden expansion in El Salvador. From putting together a budget, deciding what human resources would be necessary to creating a timeline for the project, students were able to put practical math to use in a real world context. 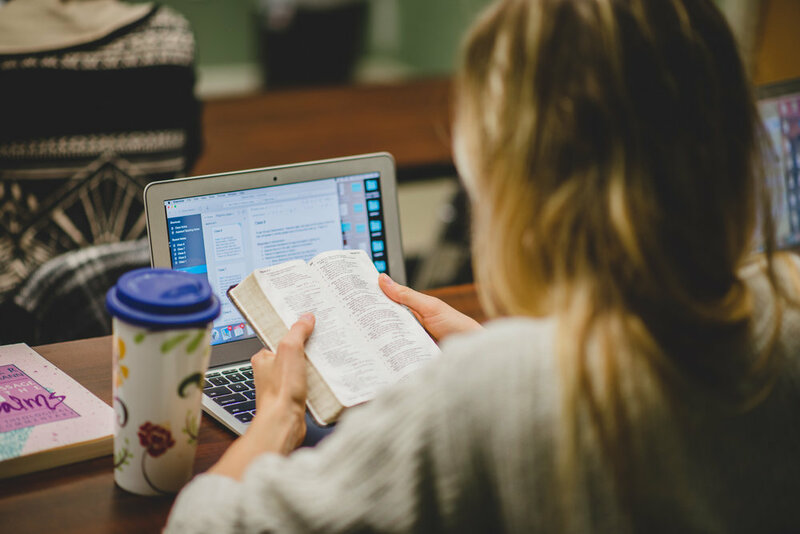 In a class that covers various New Testament letters written by Paul, students had to show their retention by continuing a roundtable dialogue for 3 hours concerning the content taught in the class. Still others are taking tests and writing essays to ensure they grasped the concepts taught in their Bible classes, and even how they can practically implement such teachings into their own lives. One of the observations you can make about finals week at the Institute is that it actually becomes a springboard for students to serve this summer. Be it implementing a community wide compost system in rural El Salvador or learning what gifts one has in order to be able to serve as they volunteer at Camp Skillz this summer, such focused study will culminate into fruitful labor. So though things are wrapping up for the semester, in many ways they are just getting started. Our genius bar included theological, public health, foreign language and music "geniuses" - can you guess who is who? One of our "mom classes" this semester was focused on the Psalms. It was a powerful semester as these women learned more about the power of poetry and song in crying out to God! Enough with the seriousness. Time for push ups. Gotta stay awake somehow, right? Our Finals kickoff opened our entire campus to study sessions, with professors joining students in studying or paper help into the early hours of the morning. Fellow graduate students and co-laborers in our development work in India, these two very different individuals always have a great dynamic coming to conclusions together! We don't know if he's pumped about his group project or the snacks, either way, he's ready to dominate. Did we mention sit-ups? Teachers vs. Students! When the founder of your school puts you on live video to discuss your agriculture project in Latin America and ask people to pray for you... that's pretty cool. Teachers who are ready and willing to help in the students' most pressing hour is inspiring. Gregg Garner, left, models it well for us. To view captions on mobile, rotate your phone horizontal.